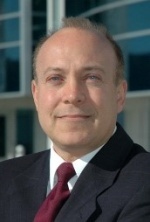 Michael Fancher has over three decades of experience in industry, government and academia that includes over 18 years providing executive leadership at SUNY Poly for business development, economic outreach, workforce training alignment and guiding the Institute’s innovation direction as the Executive Director of the NYS Center for Advanced Technology in Nanoelectronics and Nanomaterials. He is also an Associate Professor in Nanoeconomics. During his tenure, he has successfully developed a broad array of innovative public private partnerships with sustainable business models that support technology commercialization, entrepreneurial acceleration, workforce education, and regional cluster formation. Most notably, he has been directly responsible for the successful award of funding to establish the $150 million U.S. Photovoltaic Manufacturing Consortium (U.S. PVMC), the $500 million New York Power Electronics Manufacturing Consortium (NY-PEMC), and most recently was on the leadership team for preparation of the proposal resulting in the award of the $610 million American Institute for Manufacturing of Integrated Photonics. SUNY Poly CNSE was recently ranked by the National Science Foundation as first in the nation in private sector research funding for 2013. He has previously served as Deputy Director of Budget Studies for the New York State Assembly Ways and Means Committee and practiced as a Certified Public Accountant in New York State.